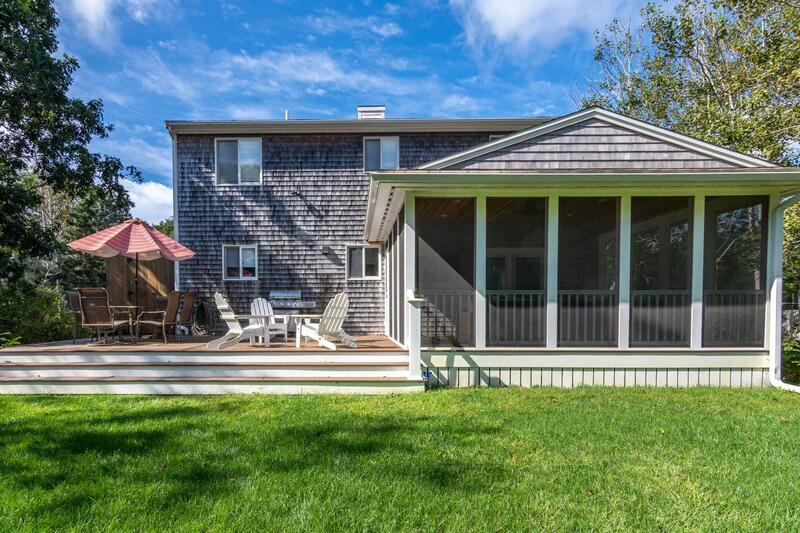 Point B Exclusive - This Coastal Cape is set back in a quiet Katama neighborhood, and features indoor-outdoor living. 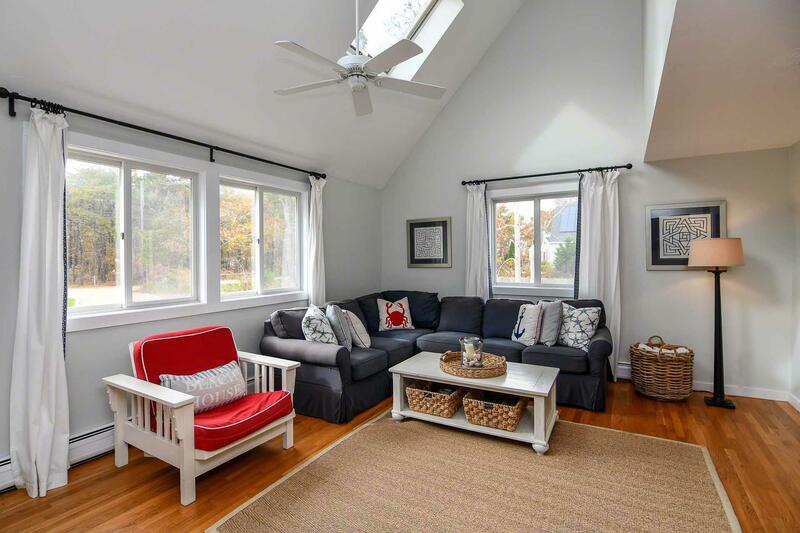 The first floor has a modern layout with Living, Dining, and Kitchen Areas, that are anchored by French doors on one end, that open to a large screened porch. 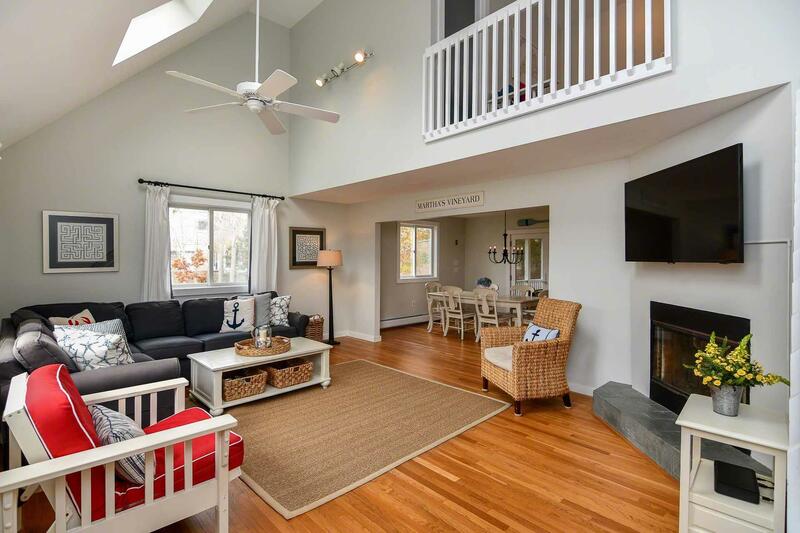 The Living Area has vaulted ceiling, fireplace, media center, and seating. 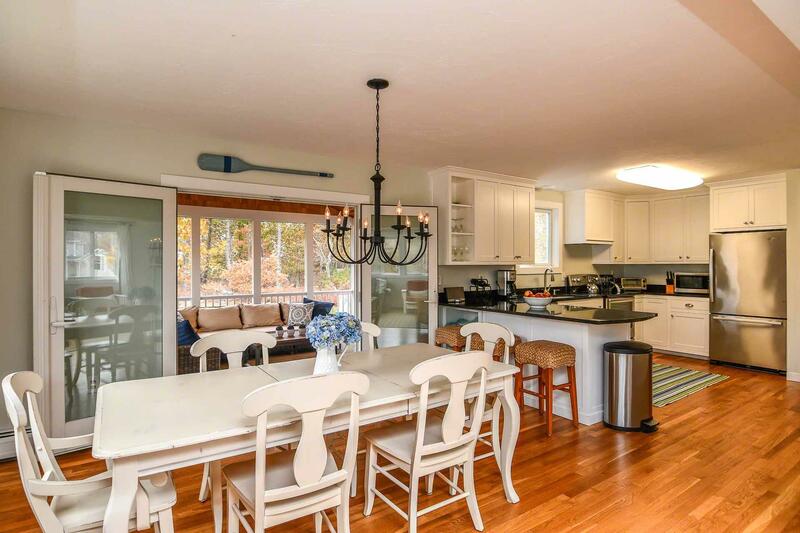 The Dining Area is framed by the French doors that open to the porch, and the Gourmet Kitchen. 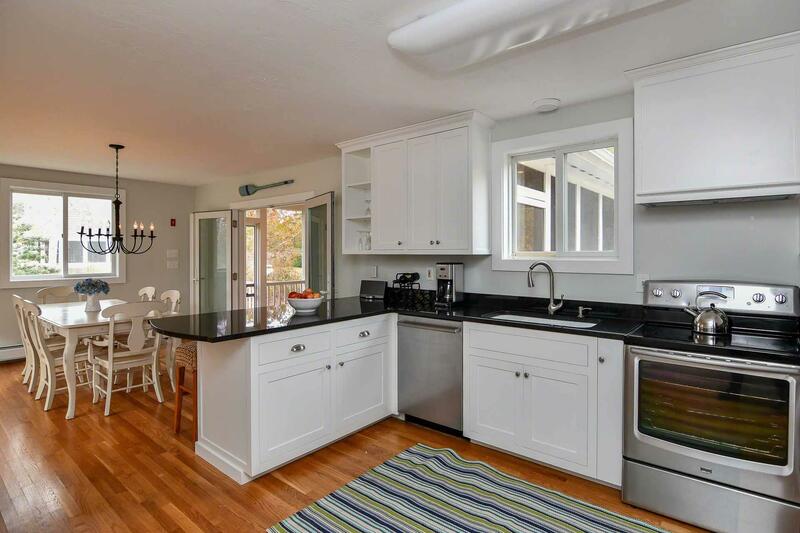 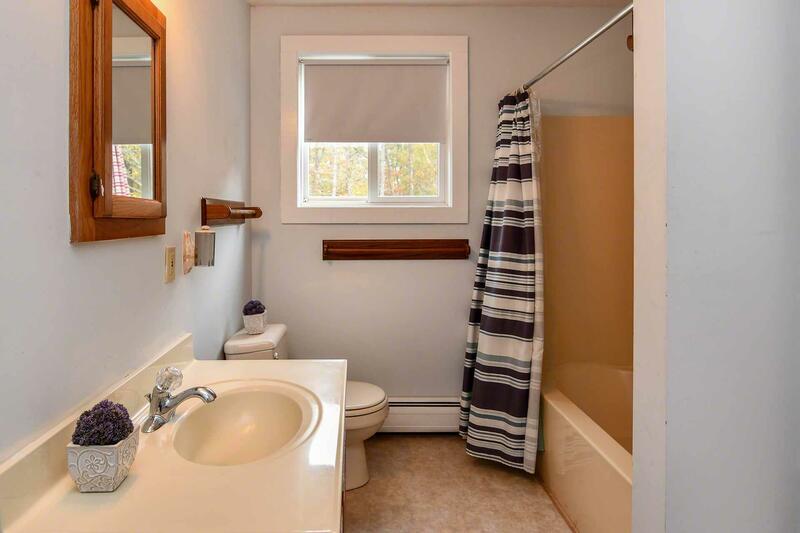 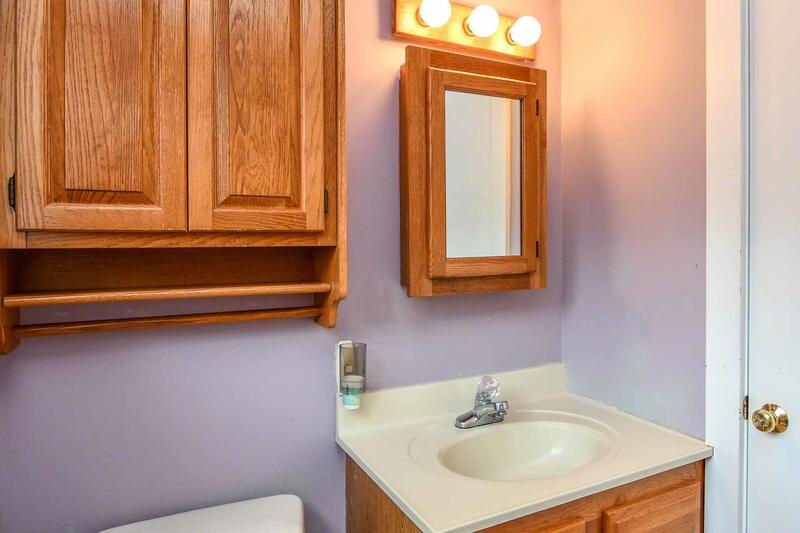 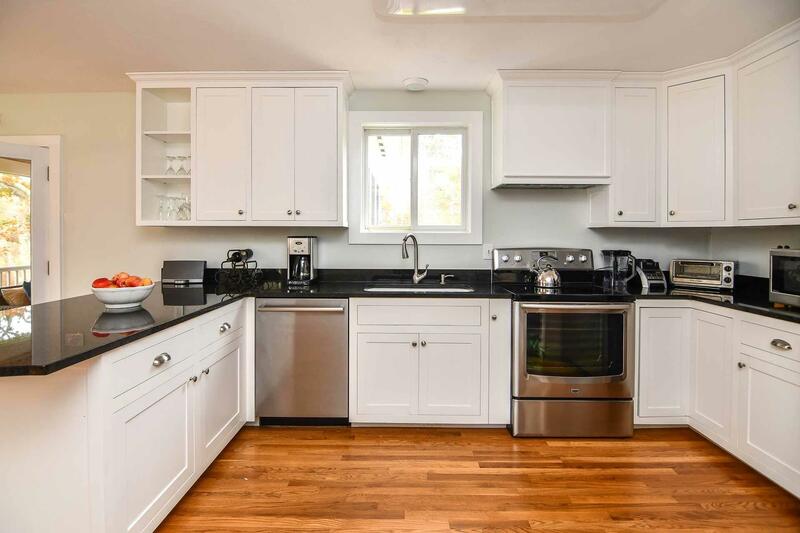 It has breakfast bar, stainless appliances, and granite counters. 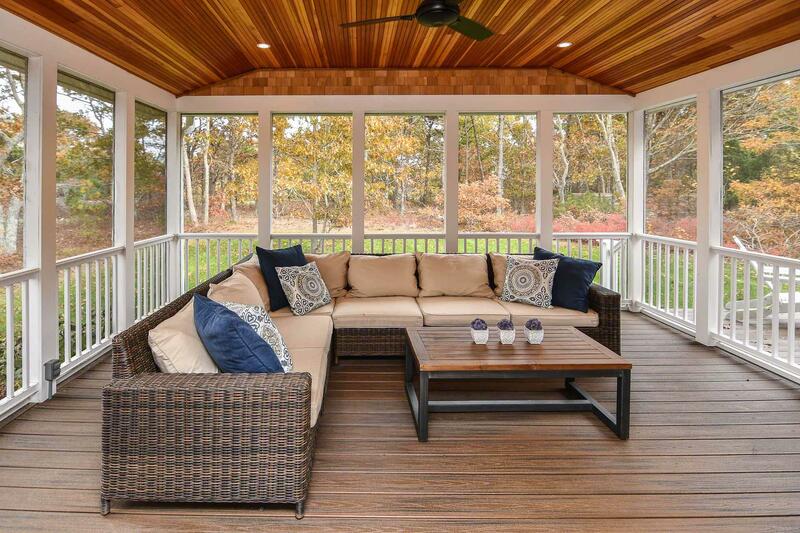 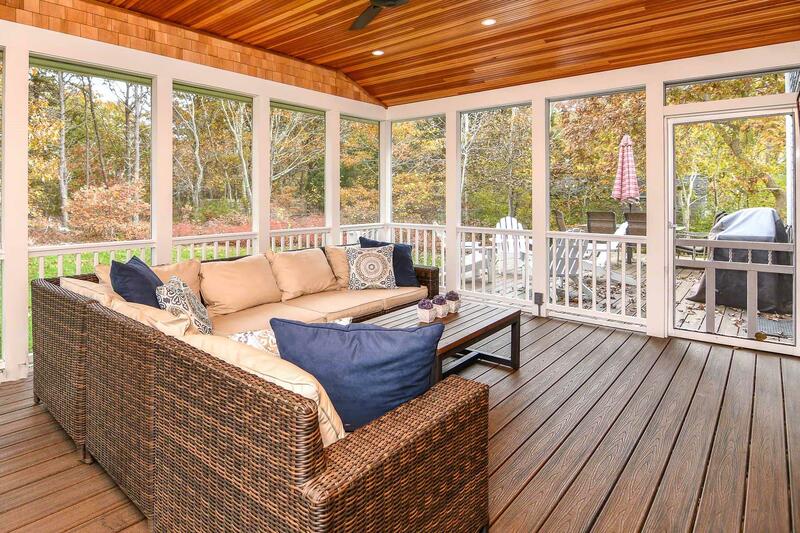 The large screened porch nicely integrates the indoor-outdoor living. 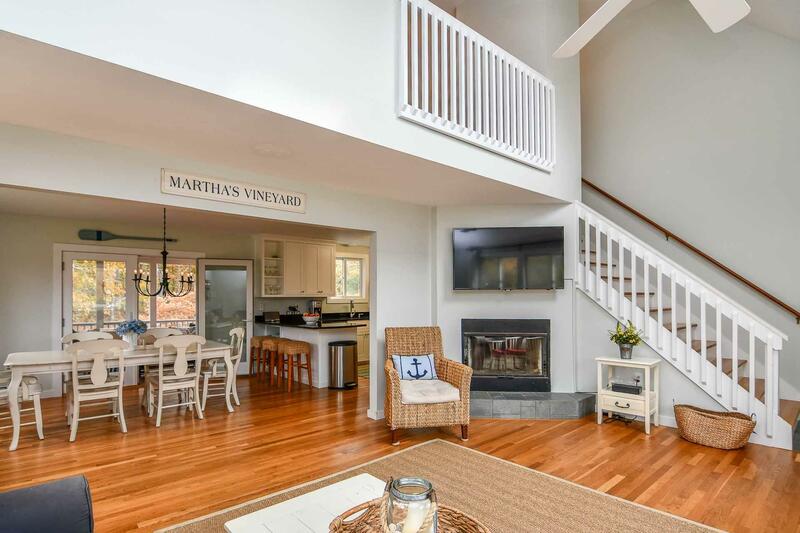 There are three walls of screens, sectional seating, vaulted ceiling and TV. 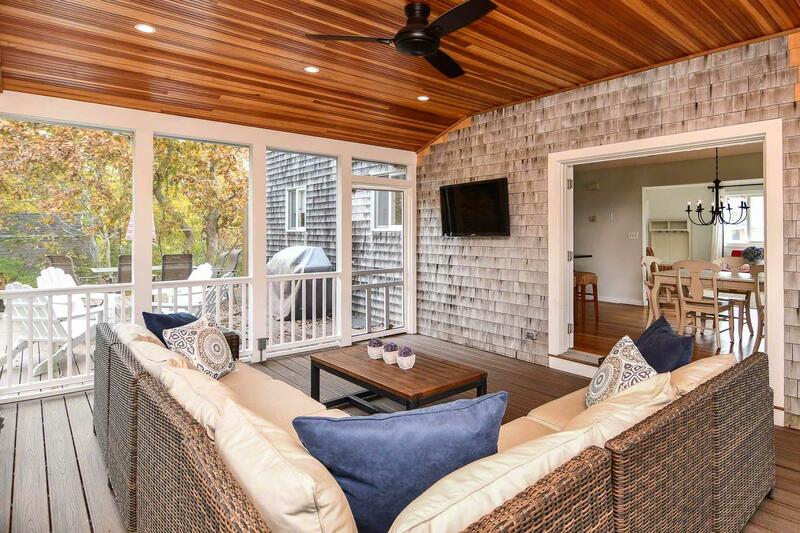 A door opens to the back mahogany deck with lounge, dining, and grilling areas. 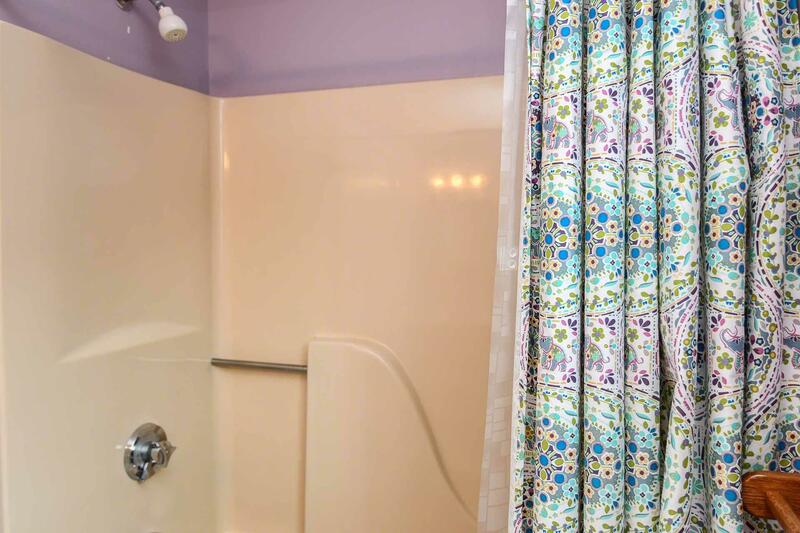 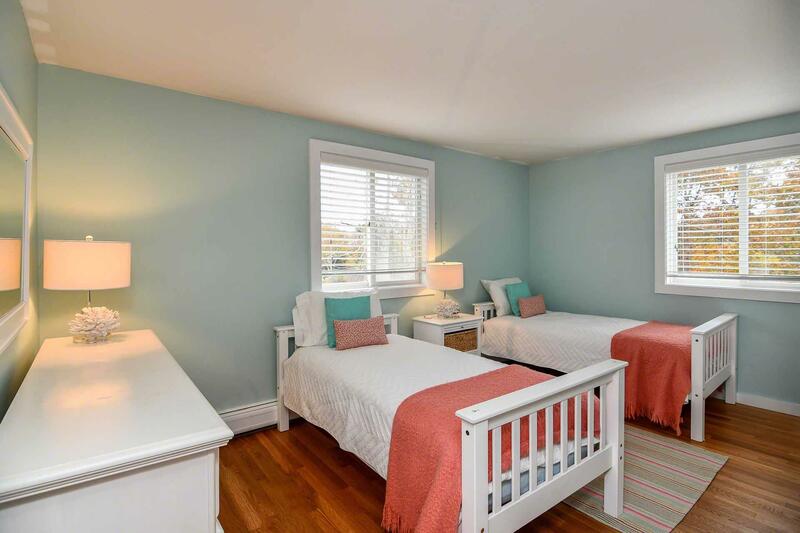 There is a first floor Bedroom and shared bath. 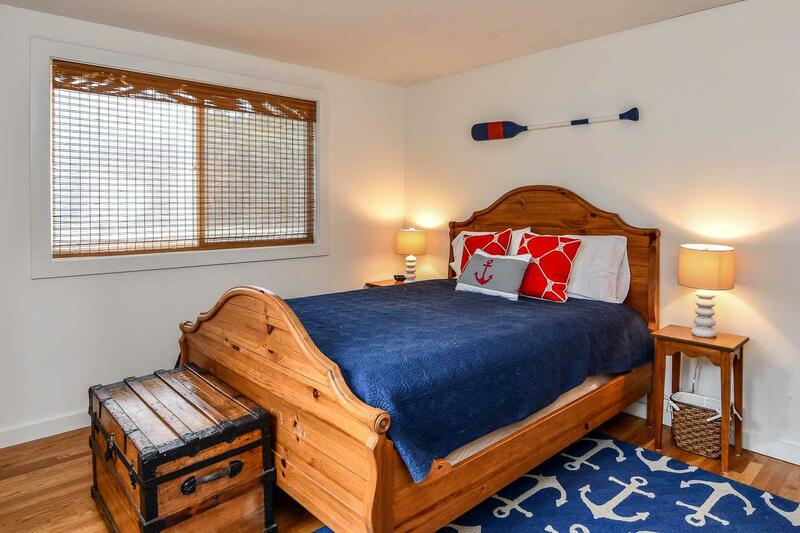 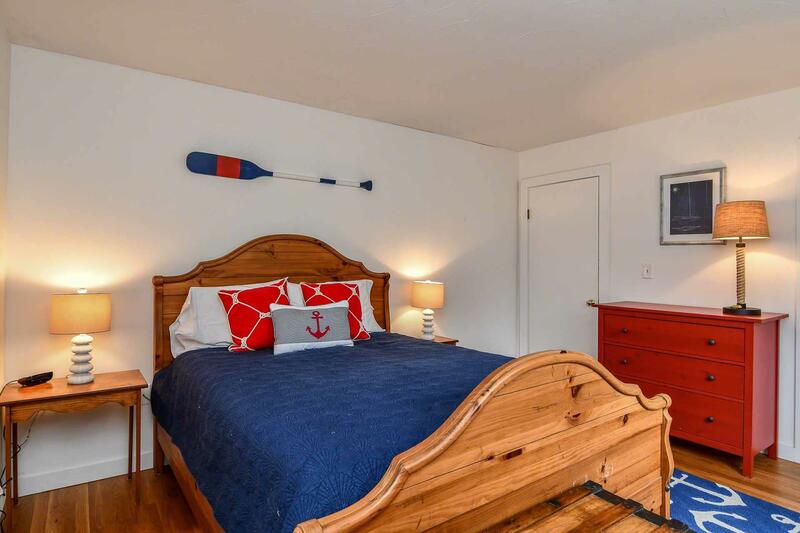 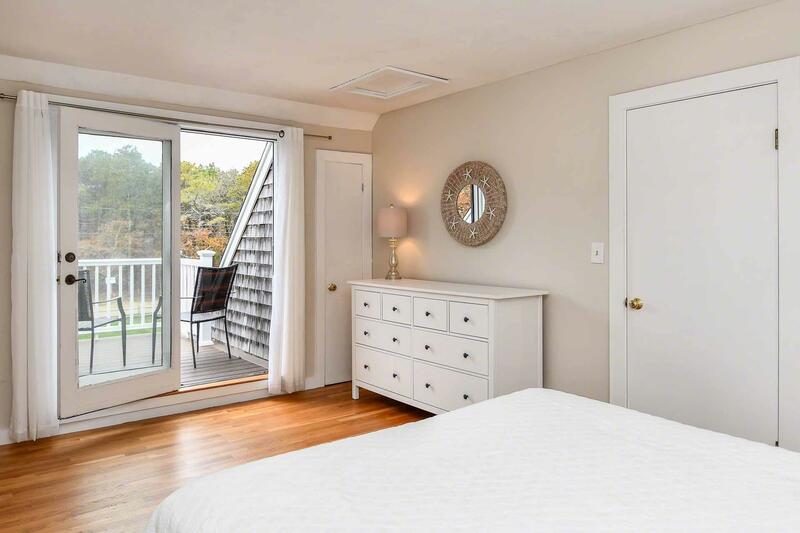 The other two Bedrooms and bath, are upstairs, where the Master has its own private deck. 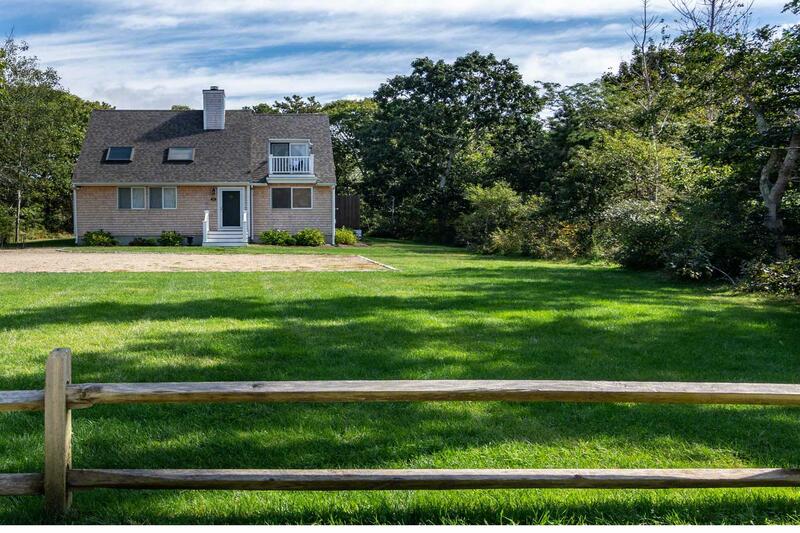 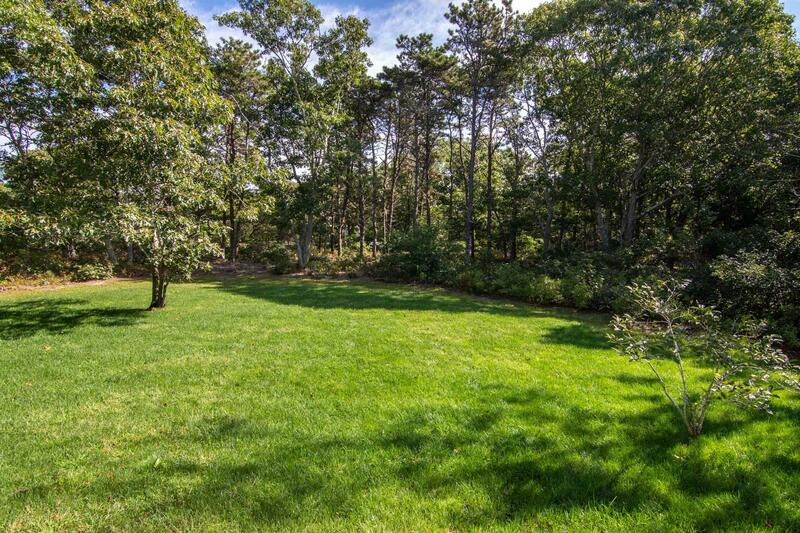 The property has nicely manicured grounds, and sits back off the road. 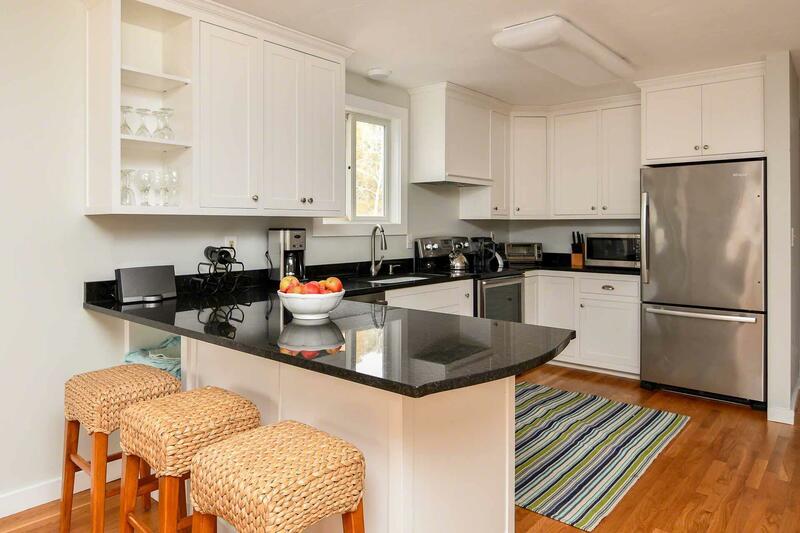 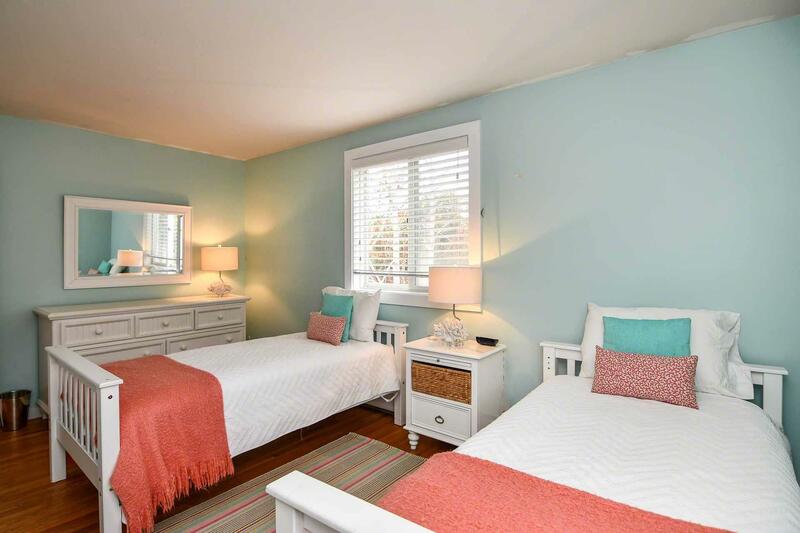 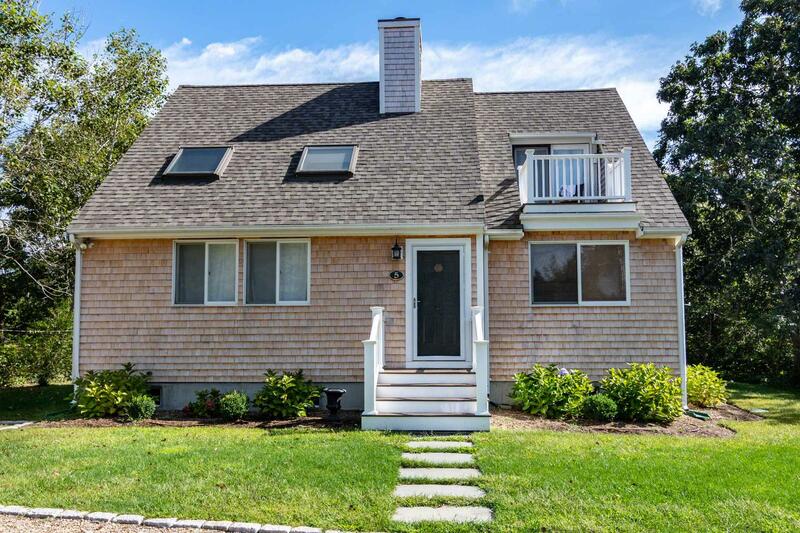 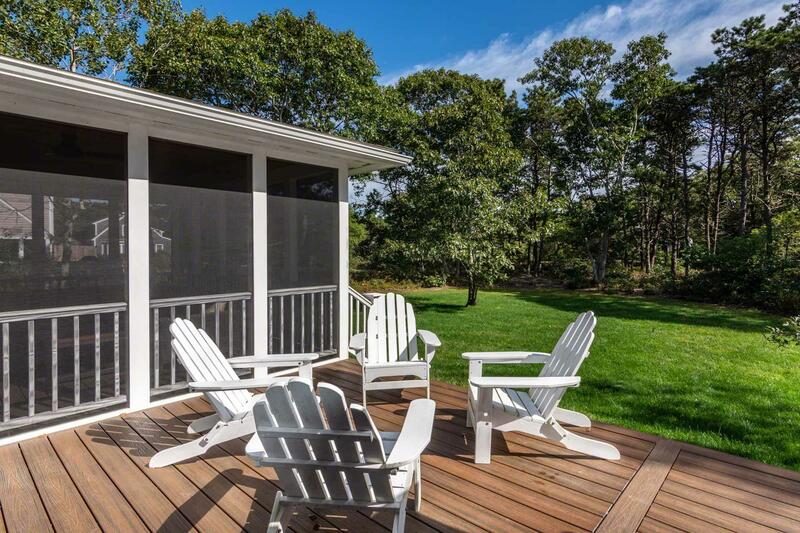 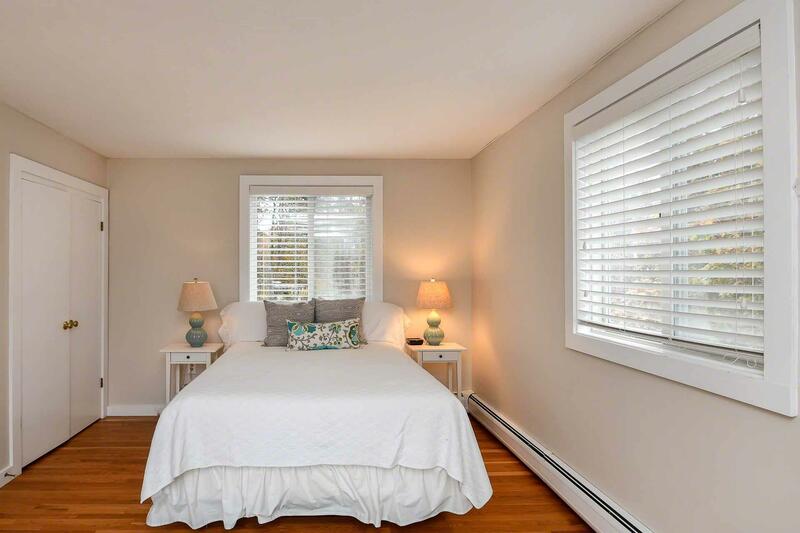 It is about two miles from both downtown Edgartown, and South Beach.